... providing professional services for the HVAC Industry since 1981. 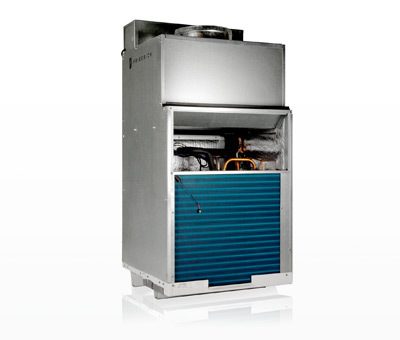 The VERT-I-PAK is a vertical, air cooled, single package, heat pump or cooling with electric heat unit that can be applied in an outside wall. Sizes range from 0.75 to 2.0 tons to fit most all requirements for apartments, hotels, condominiums, retirement homes, hospitals, dorms and classrooms. 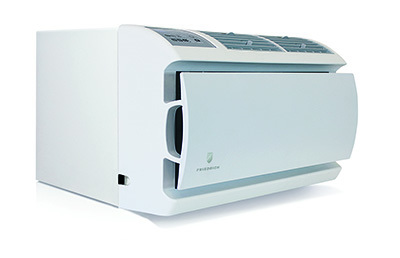 Room Air Conditioners are designed for individual room cooling in both window type and thru-the-wall styles. They are commonly used in apartments, offices and retail spaces that lack central air conditioning; to supplement central air conditioning in warm areas difficult to cool; and for zone cooling or heating to save energy costs. 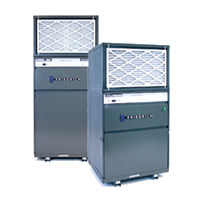 WALLMASTER Packaged Terminal Air Conditioners (PTAC) are designed for motels, nursing homes and other commercial properties requiring individual guest/occupant control and installation that is flush with the outside wall. 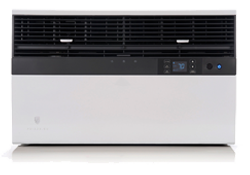 Packaged terminal air conditioners can also be used with a central desk control option to allow the units to be turned on and off from a remote location. Ductless Split Systems are designed for renovation or new construction projects where central air conditioning ductwork is impossible or impractical to install; where large wall openings for thru-the-wall air conditioners are not wanted for security or structural reasons; where operating noise must be minimized; or where the convenience of wireless remote controls is desired. NEW!! VRP is a variable capacity packaged system that utilizes Precision Inverter Technology to provide optimal space conditions. The unit has the ability to adjust BTU output based on the actual room load. WALLMASTER Packaged Terminal Air Conditioners provide the ultimate in personal comfort and energy-efficiency for individual room cooling and heating. Commonly used in room additions and garage conversions where installation is desired to be flush with the outside wall. Copyright © 1997-2016, Mobley Sales, Ltd. All rights reserved.